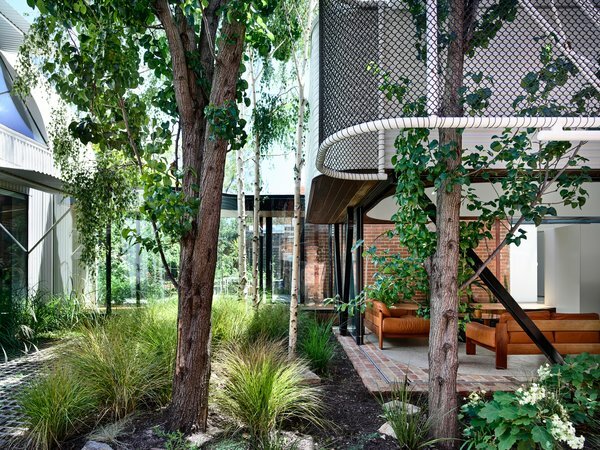 Originally built in the 1850s, King Bill by Austin Maynard Architects gains a pocket park and a playful expansion. 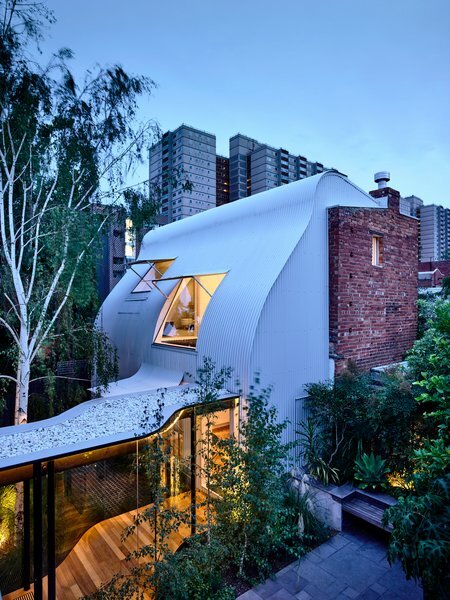 Full of bohemian soul, the heritage neighborhood of Fitzroy in Melbourne is known as a real estate hot spot. But rather than capitalize on their block and exploit a vacant garden east of their property, the family of four who own King Bill decided to create a new pocket park to bring more greenery to the streetscape. 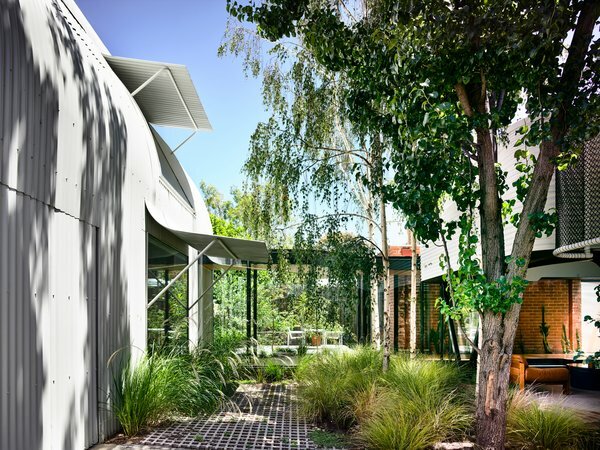 When it came time to renovate their double-story terrace home, the owners sought out local studio Austin Maynard Architects—a firm known for its sustainable ethos—who incorporated the empty garden to the east, and an old stable at the rear, to the new floor plan. Respecting the site’s heritage, Austin Maynard Architects retained the terrace facade of King Bill. Perforations were added to the boundary wall on the east, and the entrance was moved to the side to become a bright corridor connecting the old house with the stable and pavilions. 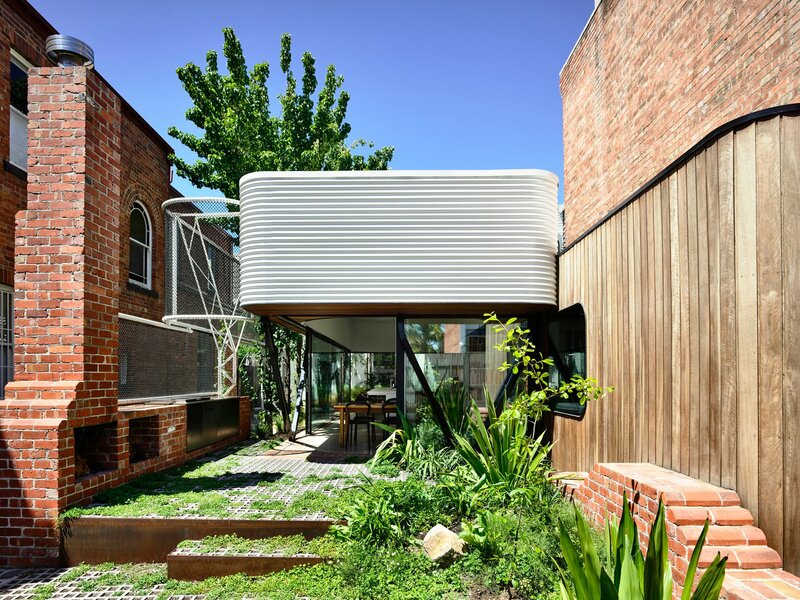 The main house, rear stable, and a new pavilion in the garden were unified with corrugated, ColorBond steel metal cladding.